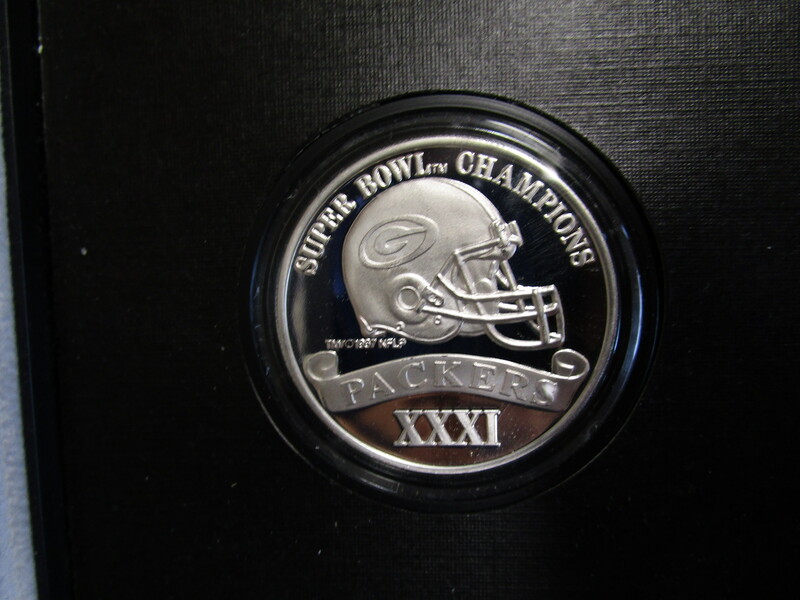 We are offering this Super Bowl 31 Green Bay Packers Champions One Ounce .999 Silver Coin Medallion. It comes with the Original Booklet but no COA. 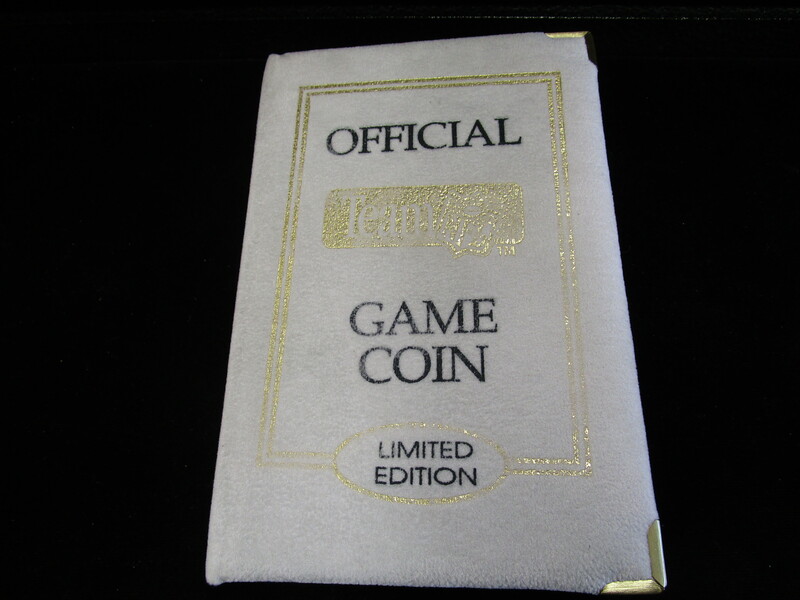 Coin is a Limited Edition and numbered 8636. 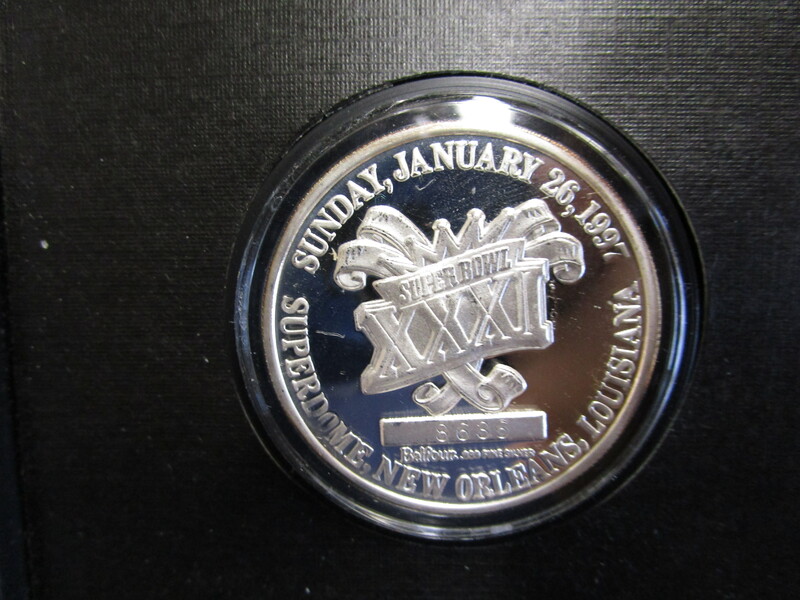 Coin was made by Balfour-it has a Proof Finish. Cover of the book has some wear.